We have all sorts of quality personalised items that you can choose from. One of the biggest stresses of a holiday is what to get for your family and friends. 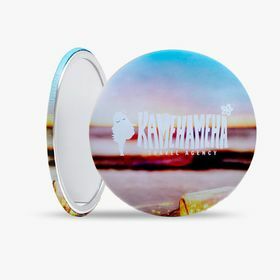 Do you go for the classic souvenir like a fridge magnet with the typical skyline or coast of the destination, a small ornament that can sit on the counter for years in memory of your days away? Well, now it is time to think about a present with some element of practicality too. While other gifts can be great, they tend to stay in the first place you set them down for years to come. What if you got your close ones something they could use day to day, that would still remind them of that time you thought about them during your trip? We present to you: personalised compact mirrors Ireland. Personalised compact mirrors Ireland are becoming more and more of an item that many people appreciate as a gift. As with a lot of countries, Ireland is not just the stereotypes that we see and hear from the outside but is actually somewhere with loads to offer, especially in terms of historical monuments and notable locations. Combining pocket mirrors with one of the above things, you can create really beautiful personalised compact mirrors Ireland with fantastic views and staples of the country. 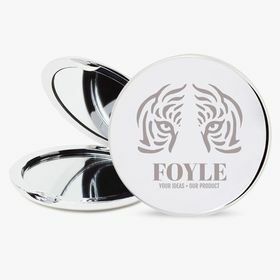 Personalised compact mirrors Ireland are fantastic as a gift from your travels, but can they be used for something else? One way that these items are enjoyed is as a promotional item for companies looking to increase brand visibility. In the cosmetics sector business mirrors can be a particularly powerful tool to have to hand. 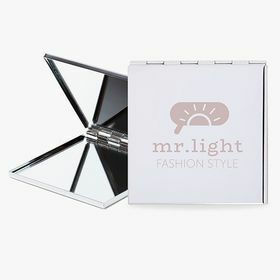 At a beauty or fashion event this kind of gift will fit perfectly and due to the sheer variety of visitees, they could be spread out to people from all over the country and even the world. How can you prepare yourself sufficiently for all those visitors and still stay within your budget? Personalised compact mirrors orders have you covered. For the best price of our mirrors, check how our bulk buys can save you money and prepare you for any fair or event that is in the pipeline.